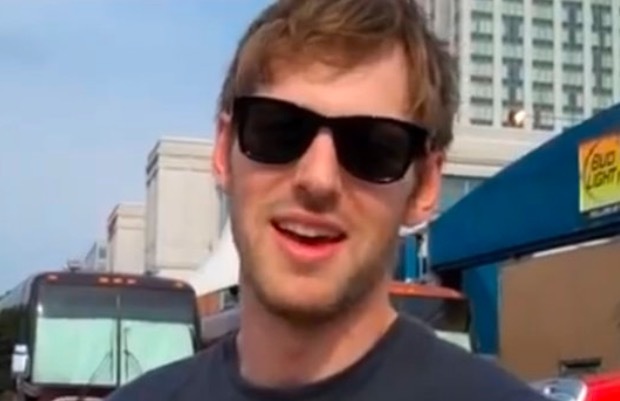 Former Owl City guitarist Daniel P. Jorgensen has been charged with criminal sexual contact and attempting to lure a 14-year-old girl to a hotel room and tour bus while playing a show in Atlantic City in 2013. The charges were revealed by Atlantic County Prosecutor Jim McClain earlier today, August 5. Jorgensen, 30, was indicted earlier this week by a grand jury in New Jersey. Bail was placed at $100,000. The former guitarist reportedly faces up to 10 years in prison for the luring charge, and 18 months the fourth degree sexual contact charge. He was removed from Owl City when the charges originally arose in 2013. Further details via Philly.com can be read below.